Sculpture Size: 10.5 X 4 X 4 in. Tim Cotterill also has koi in his pond at his studio, in addition to frogs (of course! 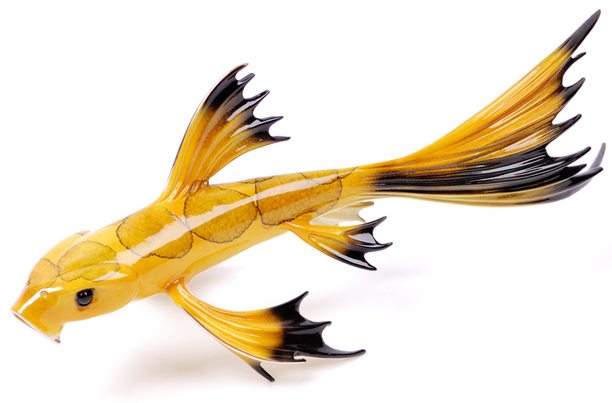 ), and he has created a line of limited edition bronze butterfly koi that are absolutely elegant. “Mellow Yellow” has a beautiful yellow patina with black mottling.